1) Take oil in a kadhai and add Mustard seeds. 2) Add red chili powder, salt, turmeric and sugar in the bread crumbs and mix well. 3) As the Mustard seeds crackle, add hing and Kadhi patta to the kadhai. 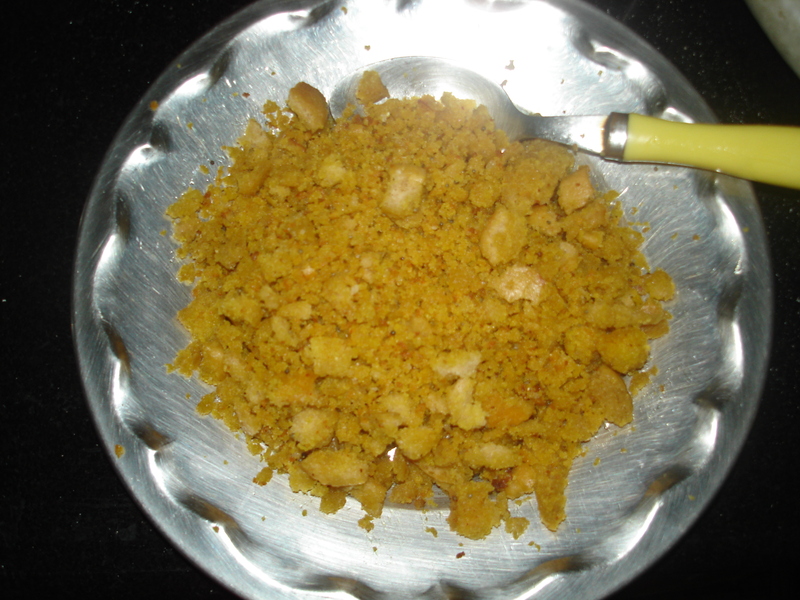 4) Now add the bread crumbs to the kadhai and mix well. 5) Keep stirring and mixing for 2 minutes. Previous Post: Bread Bonanza – Brown bread…. Try it out!! It's very filling and tasty! !